Take advantage of recreation opportunities such as an outdoor pool, or other amenities including wireless Internet access (surcharge) and an arcade/game room. Additional amenities at this campground include a television in a common area and barbecue grills. Located in Hanmer Springs, Spa Lodge Motel is in the mountains, a 3-minute walk from Hanmer Springs Thermal Reserve and 10 minutes by foot from Conical Hill. 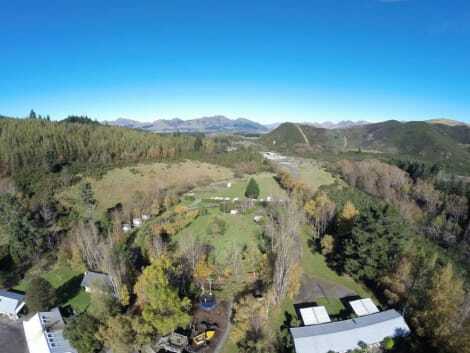 This motel is 0.7 mi (1 km) from Conical Hill Walkway and 3.4 mi (5.5 km) from Hanmer Forest Park. Take in the views from a garden and make use of amenities such as complimentary wireless Internet access and babysitting/childcare (surcharge). Additional features at this apartment include tour/ticket assistance, a picnic area, and barbecue grills. Getting to nearby attractions is a breeze with the complimentary area shuttle that operates within 1 km. Your Home away from Home Luxury Motel Accommodation at affordable prices.Sits in a central location being 2 minutes walk to the Thermal Pools and is adjacent to shops restaurants and bars.Thermal Pools and Restaurants 2 minutes walk.All of our units have kitchens and plenty of heating and have either king beds which can be split to 2 x single beds (please advise in advance) or queen beds.Hanmer Springs is nestled in a Valley surrounded by beautiful Scenery and Hills. Make yourself at home in one of the 14 guestrooms, featuring kitchenettes with refrigerators and microwaves. Your bed comes with premium bedding, and all rooms are furnished with sofa beds. 40-inch LCD televisions with satellite programming provide entertainment, while complimentary wireless Internet access keeps you connected. Conveniences include complimentary newspapers and separate sitting areas, and housekeeping is provided daily. Featured amenities include complimentary newspapers in the lobby, luggage storage, and a library. Planning an event in Hanmer Springs? This resort has facilities measuring 1076 square feet (100 square meters), including a conference center. A roundtrip airport shuttle is provided for a surcharge (available 24 hours), and free self parking is available onsite. Enjoy recreation amenities such as a golf course or take in the view from a garden. Additional amenities at this bed & breakfast include complimentary wireless Internet access and barbecue grills. Featured amenities include complimentary wired Internet access, a business center, and luggage storage. Free self parking is available onsite. lastminute.com has a fantastic range of hotels in Hanmer Springs, with everything from cheap hotels to luxurious five star accommodation available. We like to live up to our last minute name so remember you can book any one of our excellent Hanmer Springs hotels up until midnight and stay the same night.